Race Winning Brands, a portfolio company of Kinderhook Industries, has acquired Giannone Performance Products, a manufacturer of high-performance aluminum connecting rods. 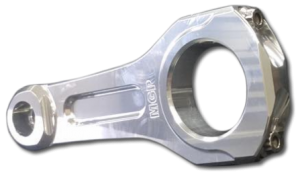 Giannone Performance Products (DBA MGP Connecting Rods) was founded in 1996 by the late Michael Giannone (he passed away in 2015) and is headquartered in Colorado Springs, CO (www.mgpconnectingrods.com). 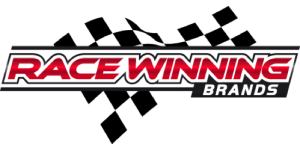 Race Winning Brands (RWB) is a manufacturer of performance and racing pistons as well as connecting rods, crankshafts, electronics, and other engine related components. The company sells its products to the automotive and powersports performance markets under several brands including JE Pistons, Wiseco Performance Products, K1 Technologies, Diamond Pistons, Trend Performance, Dart Machinery, Rekluse Motor Sports, Falicon Racing and ProX Racing Parts. Customers include professional and sportsman racers, engine builders, enthusiasts, street performance racers, OEM crate engine builders, and automotive and powersports wholesale distributors. 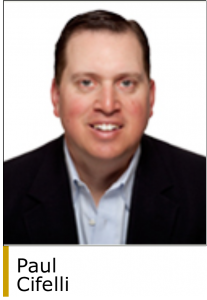 The company, led by CEO Brian Reese, is headquartered east of Cleveland in Mentor, OH (www.racewinningbrands.com). “We continue pursuing our vision of leading racers to victory with the best engine parts in the market, MGP is further investment in our expansion to adjacent categories,” said Mr. Reese. The buy of MGP is the fifth add-on acquisition for Race Winning Brands. In April 2017 the company acquired sister companies Diamond Pistons and Trend Performance, manufacturers of high-performance engine components; in April 2018 it acquired Rekluse, a maker of high-performance clutches for the powersports market; in August 2018 it acquired Dart Machinery, a maker of high-performance engine blocks, cylinder heads and intake manifolds; and in November 2018 it acquired Falicon Crankshafts, a maker of high-performance crankshafts, connecting rods, camshaft sprockets and racing clutches. “The acquisition of MGP adds another premium automotive brand to Race Winning Brands’ stable of high-performance products. We are excited for the future of MGP in partnership with RWB,” said Paul Cifelli, a Managing Director of Kinderhook. Kinderhook makes control investments in companies with transaction values of $25 million to $150 million in which the firm can achieve financial, operational and growth improvements. The firm makes investments in non-core divisions of public companies, management buyouts of entrepreneurial-owned businesses, troubled situations, and existing small capitalization companies lacking institutional support. Sectors of interest include healthcare services, environmental/business services, and automotive/light manufacturing. Kinderhook was founded in 2003 and is based in New York (www.kinderhook.com).